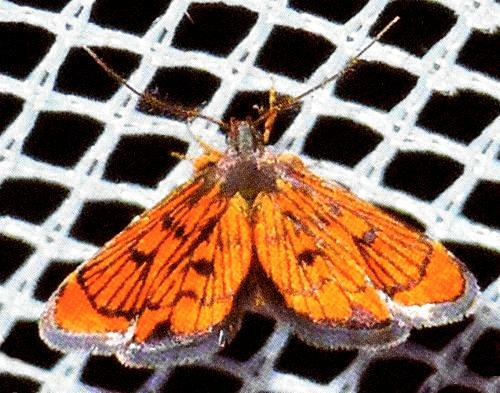 The adult moths of this species have orange wings, each with a complex network of black lines. The wingspan is about 1 cm. Moths of Australia, Melbourne University Press, 1990, pl. 5.20, p. 264. LeapFrogOz, Kuranda, 2015, p. 103.